What I do know is that were it not for the Jews, we wouldn’t have some of the best Christmas songs of all time. “White Christmas,” anyone? “Silver Bells?” “The Christmas Song (Chestnuts Roasting on an Open Fire)?” Etc. Etc. All written by Jews. So clearly, we know our holiday tunes. 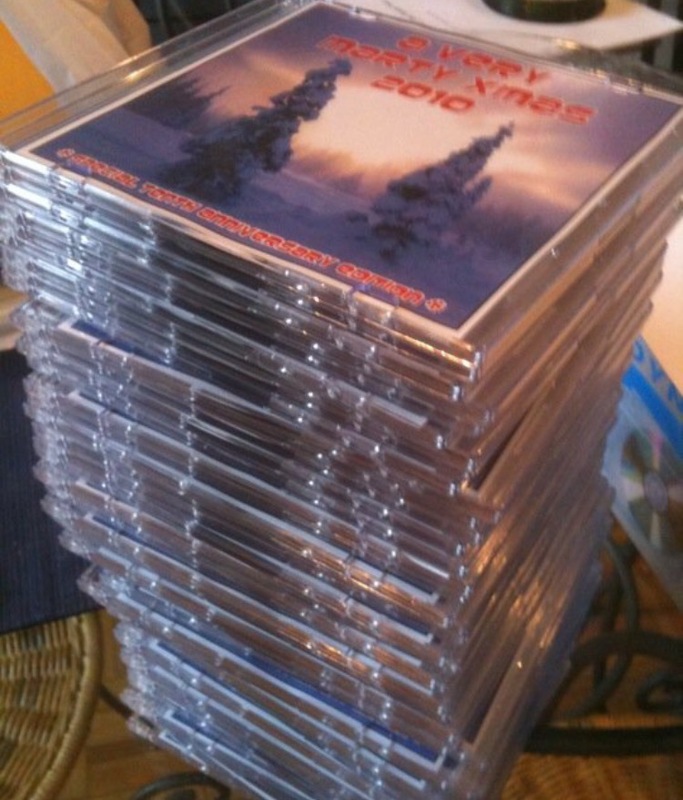 For 10 years, I created my own holiday (mostly Christmas) mixes. The creation of my annual volume of A Very Marty Xmas was as much a tradition as the airing of A Charlie Brown Christmas or Darlene Love’s appearance on David Letterman’s show, and I know many folks who still dig out my CDs every year when they’re trimming the tree or hosting a party, or just getting in the holiday spirit. Amazingly, it’s been five years since my last Very Marty Xmas mix. And I actually miss them. Maybe you do too. Darlene Love’s here. Bruce Springsteen’s here. The Pogues are here. So are Donny Hathaway, the Jackson 5, Mindy Smith, the Ramones, and Stevie Wonder. There are Christmas songs, Hanukkah songs, and even a couple New Year’s Eve songs. There is not: “Dominick the Donkey,” “Santa Baby,” or even “Silent Night,” even though it is apparently the most covered Christmas song of all time. In short: If it was possible for the Very Marty Xmas playlist to get any more perfect, it just did. Put this playlist on shuffle and you’re sure to have a very happy, very festive holiday season, whether you celebrate Christmas, Hanukkah, or something else. You can trust me on that: I’m Jewish. Just checking: Is there anything YOU would add to this playlist? Please let me know in the comments section below. Once again thanks for making the Ultimate Very Marty Xmas mix. While I do not get to see you in an office this brings back happy memories. Now if someone would come in with cupcakes….. Points for the Pogues. Points off for no “Have Yourself a Merry Little Christmas” by the Pretenders and Charo’s “Donde Esta Santa Claus?” I await these corrections for the 2016 version.